Wojciech spent two summers in Africa: first in Chad and then in Kenya. During his time in Chad running technical workshops, Wojciech saw how the use of technology could help bolster freedom of expression. Wojciech used his learning from his trip to develop a technical toolkit to help organizations in developing countries to start publishing print media. He did this as part of his public policy summer with Journalists for Human Rights, an organization he remains involved with as treasurer. The following summer, he worked in Kibera, a slum in Nairobi, Kenya, with Shining Hope for the Community to help them to publish a newspaper. Wojciech graduated from University of Toronto with a degree in international development and applied mathematics. After working at IBM’s Thomas J. Watson Research Center, he earned two MSc degrees, in mathematical modelling and scientific computing and social science of the Internet, from University of Oxford, where he was a Rhodes Scholar. He went on to work for two years at McKinsey & Company. 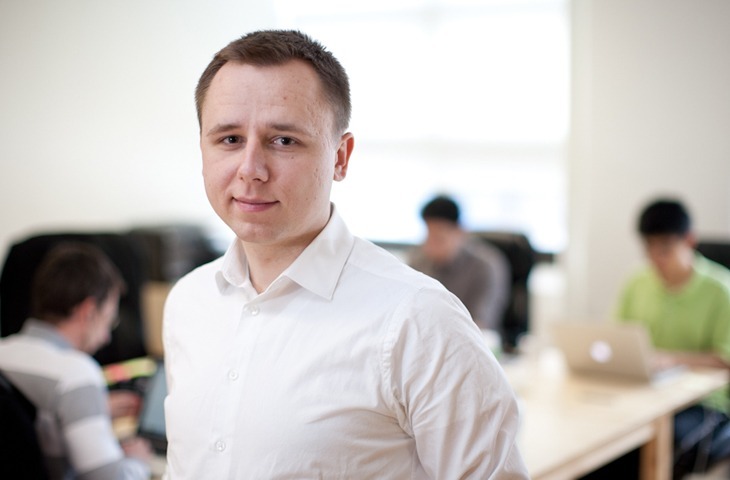 Wojciech is now the CEO of Canopy Labs, a business he founded in 2012. The company helps businesses optimize their internal operations, marketing, and sales using data mining and analytics. The Canopy Labs team includes three additional Loran Scholars: David Vlemmix (’05), Connor Bays (’08) and Sammy Lau (’10).